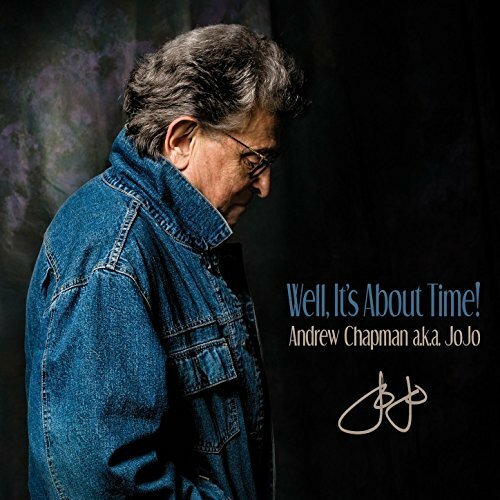 I just had the opportunity to review the most recent release, Well, It's About Time, from Andrew Chapman a.k.a JoJo and it's solid. Opening with Louisiana funky, That's The Kind Of Day I Had Today. 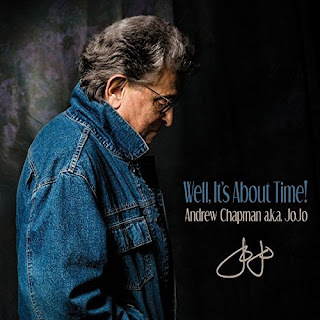 JoJo on lead vocals slides right into the slot with Terry Wilson on bass, John Herron on piano and featuring excellent slide work from Stephen Bruton and excellent drum work from Tony Braunagel and fine backing vocals by Teresa James and Shake Russell. Very cool! Solid radio track, Still Got The Message has a cool vocal hook, super guitar soloing by Billy Watts, really nicely woven instrumentation and tight rhythms by Braunagel. The Fit & The Feel has a Harry Nilsson feel with and cool underlying pop feel and James on backing vocals. Another funky rocker is She Don't Mess With My Buzz written by bassist Terry Wilson, with nice slide work by Watts, Jeff Paris on keys and James Christie on drums. Cool rocker, Bag of Bones has a cool boogie pace with Braunagel on drums, Wilson on bass, Watts on lead guitar and James on piano. Wrapping the release is Chapman composed, Butterfly which has the strengths of a well written Lindsay Buckingham or Leon Russell track. Mellow and nicely performed, a suitable closer for a solid release.